Speech on the Foreign and Commonwealth Office Pro-bono Medical Panel, delivered at the British Medical Association Annual Representative Meeting, June 2015. The Foreign and Commonwealth Office (FCO) Pro-Bono Medical Panel was set up in 2002 to advise the FCO in relation to the health of serious medical conditions in, at that time, 3000 British citizens who were in foreign jails. This panel was launched as part of on-going reforms to help protect the human rights of prisoners overseas. It was developed in conjunction with the British Medical Association and the Medical Royal Colleges. The issue of the health of British Citizens overseas is not restricted to prisoners in jails. There are many children living, or visiting, abroad on a temporary or permanent basis who are also British Citizens. Some of these children are involved in child protection issues or there is concern for the safety or welfare of the child. I’m already a member of the Medical Pro-bono panel at the Foreign Office and I believe that an enhancement of this panel, to cover the most serious child protection issues, would be beneficial to children, and families. This is about using the skills of professionals who are prepared to carry out pro-bono work – that is work for free on a voluntary basis. It is about building on the original panel that the BMA was involved in creating over a decade ago, and enhancing it to reflect the current challenges that face professionals working with children and families in today’s world. Due to the nature of child protection work any extension would need to be multi-professional but there is no apparent immediately obvious reason why such an extension would not be successful and provide Consular Officers, working overseas, with additional support where serious cases are involved. We know that there are doctors out there who are prepared to carry out voluntary work, you can see that from the posters outside, we know that there are plenty of professionals who work on a pro-bono basis for the benefit of society and we know that we can all do more to better help families, children and young people in the future. Our new President last night asked us to have courage, compassion and commitment. The action arising from this motion, if you carry it, is one way of demonstrating those key qualities. Sir Al posed the question – who is looking out for vulnerable children? Well, if not us, then who? If not now, then when? I hope you will support this motion. The British Medical Association (BMA) Annual Representative Meeting has formed new policies on protecting vulnerable children at its meeting in Liverpool this week. I made speeches proposing the following motions which stemmed from my Churchill Fellowship report, Living on a Railway Line, and am delighted that all parts of the motions were carried and have now become BMA policy. What happens next is that BMA Council will meet to discuss how best to implement these new policies over the coming year. (Scroll down to Motions 348 and 439 in the Timeline box and click on them. Click on play in the box to the left). No matter what anyone tells you, words and ideas can change the world. 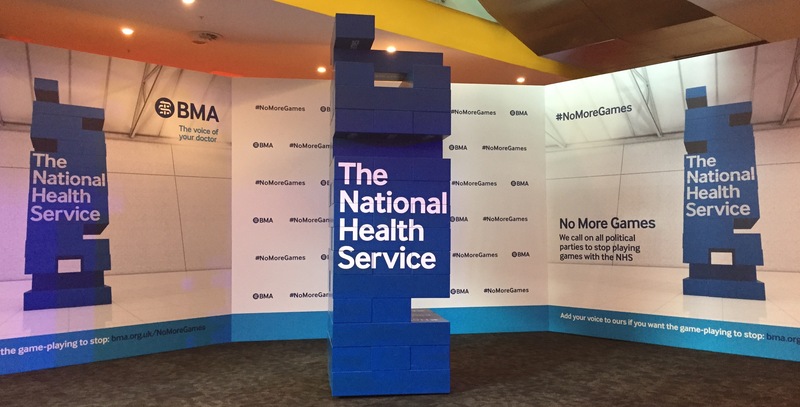 The words and ideas expressed at the BMA annual meeting which result in motions being carried, result in new policy being formed by the BMA which results in implementation efforts with the ultimate aim, using the two cases above as examples, of securing changes to better protect children and young people in the future. This week’s policy-setting conference was just a start. It is the work on these policies, the implementation of them and the outcomes of that implementation that really matter, but in the end I’m hopeful of success.